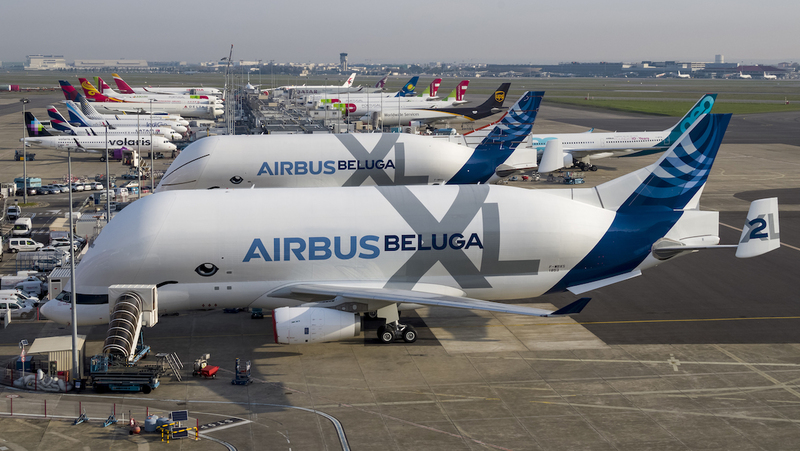 The decision to add an extra BelugaXL to the fleet was made to “future proof” the company’s internal transportation network and ensure it would be able to accommodate a range of potential future scenarios, Airbus said on April 9. “Years from now, we could see situations such as further rate increases for our jetliners or may encounter one of the airlifters being grounded, which would make this ‘extra’ sixth aircraft an essential part of our transport network,” Airbus head of the BelugaXL program Bertrand George said in a statement. Media reports had indicated such a move was on the cards as recently as February 2019. 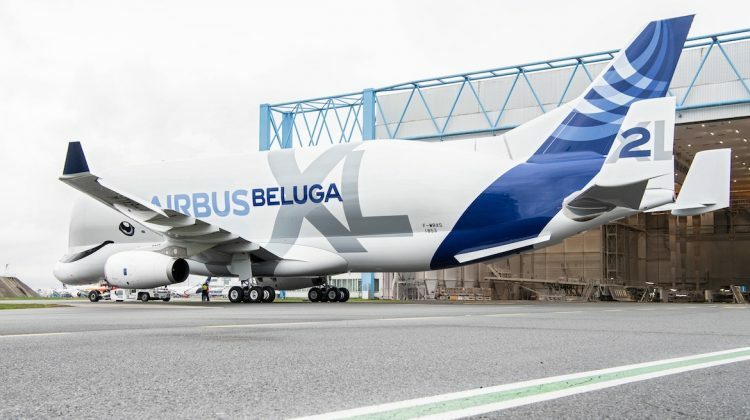 The BelugaXL, featuring a distinctive smile livery that was chosen by a vote of Airbus staff, made its first flight in July 2018 and entry into service was planned for later in 2019. 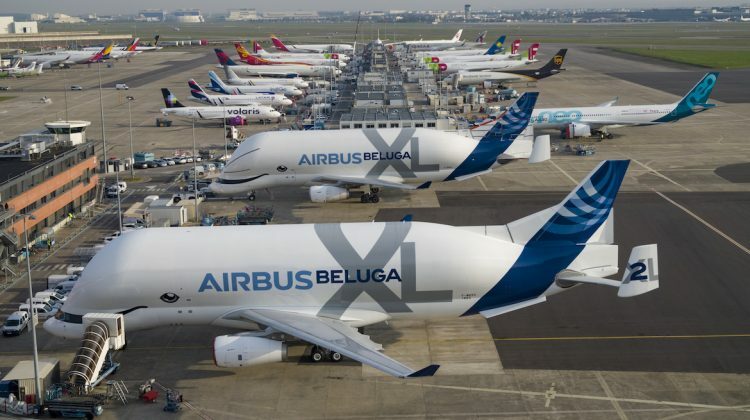 All six BelugaXL aircraft were expected to be fully operational by 2023. 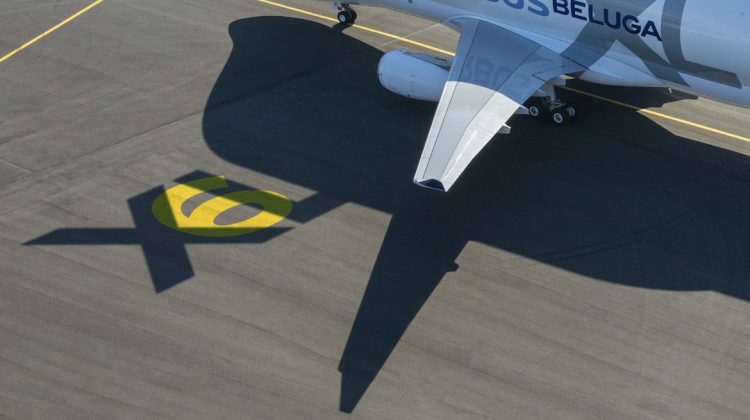 The No.1 BelugaXL was currently being used in compatibility and verification tests, including an initial trip during February carrying a set of A350 XWB wings from Bremen in Germany to Toulouse in France in November 2018, Airbus said. 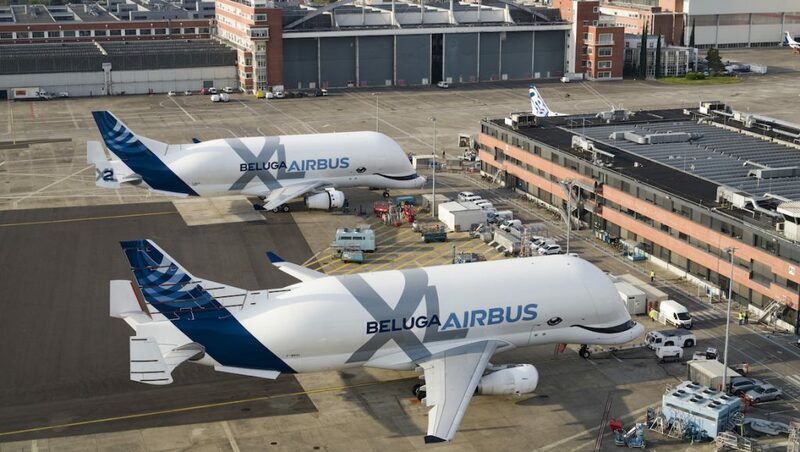 Meanwhile, a second BelugaXL was recently painted at Airbus’s Toulouse facility. Currently, Airbus has five BelugaST aircraft, an efficient if not conventionally attractive converted A300-600 twinjet that flies between the airframer’s sites carrying everything from wings to fuselages and anything in between. 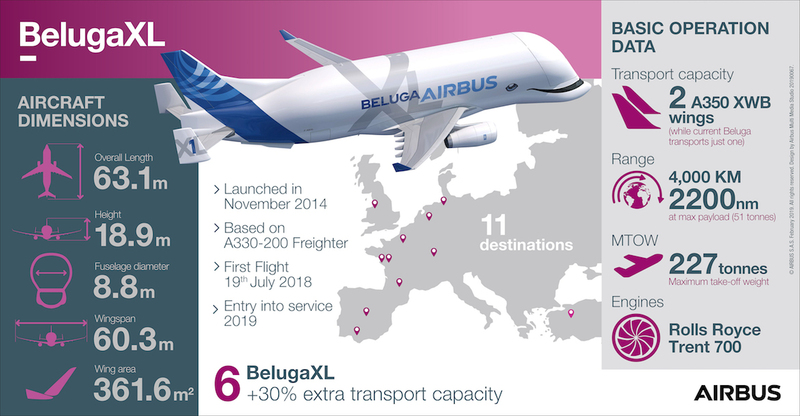 The company has said previously the BelugaST, which is six metres shorter and one metre narrower than the BelugaXL, would be progressively retired through to 2025. Philippe Sabo, the head of Airbus Transport International, said the company was evaluating two potential scenarios for the future of the BelugaST and a potential second operational life. “We know that companies have the need for super transporters,” Sabo said. “So selling them is an option; we’re also considering offering the other Airbus divisions and external customers an outsized transport service ourselves. Airbus noted the BelugaST could continue flying for another 10 to 20 years. 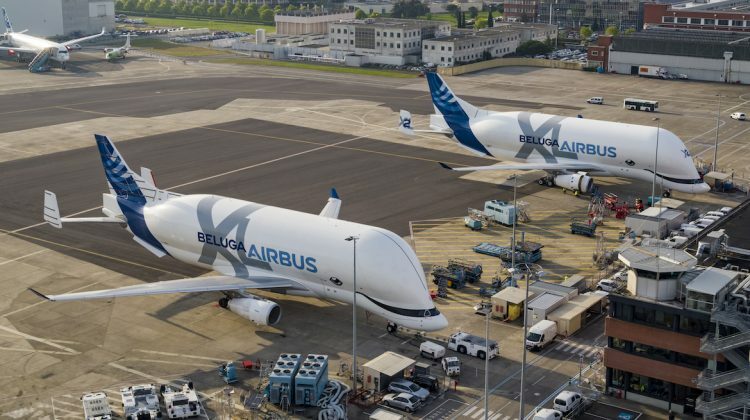 Sabo said Airbus’s move to add a sixth BelugaXL had similarities to the BelugaST program, with a fifth aircraft not part of the original outlook. “The Beluga ST programme went through the same decision-making process, and I am sure we would not have coped without the fifth aircraft – which was added in 2001,” Sabo said. The company told shareholders at its annual general meeting in Amsterdam on April 10 it was targeting between 880-890 aircraft deliveries in calendar 2019. Further, its A320 program was on track for to reach a monthly production rate of 60 by mid-2019, with the next target 63 aircraft a month in 2021. And the A350 program was also in a ramp up phase with deliveries increasing from 49 aircraft in 2016 to 78 in 2017 and 93 in 2018.